I turned to Porsche after the unpredictability of TVR ownership became untenable. 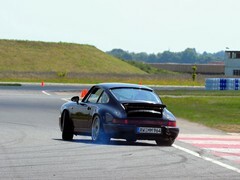 Then my 3.2 Carrera was written off in Italy following the discovery of a significant gap between my ego and my ability. I had admired a friend's RS and wanted one (more than life itself) but RHD cars were £42K and well out of my price range. Then I discovered LHD cars were, in those days, unwanted and it was possible to get a LHD RS for vaguely sensible money. I found a German import being advertised in the Sunday Times and snapped it up - 20,000km and immaculate at £29K. Within a week of ownership I went to Switzerland and on the way back she led me to a small village in the Eifel, which would become virtually a second home. I wish I'd known what values would do - I would have got a second mortgage and bought several of them! The engine is really free-revving and smooth, making blipped downshifts rewarding. It is without the outright power of the modern equivalents but still incredibly usable and holds its own in most company. The gearing is just perfect and the sound inspiring, though now muted somewhat to make UK track days possible. The UK RHD cars mostly have power steering, though the German cars like mine mostly were without (but the long range fuel tank is generally fitted). The steering is heavy at low speeds, but this improves when properly on the move and for me feels perfectly weighted, giving you just the feedback you need. It takes some physical effort to drive fast - after a few laps you really know you've been working hard with no air con! Filling up that big fuel tank is not a pleasure - 92 litres of super at £1.50, yikes! Driving through London (to get to a track of course - why else use the public road?) is a chore; the potholes and speed humps are not kind to RS suspension. On a road trip to France my wife asked me to pull over at the side of the road so she could change to a sports bra. The 964 RS had a reputation for being almost unusable on UK roads. That is not entirely undeserved, the standard dampers at the front do not respond well to bumps and under braking this can confuse the ABS. It can give you a fright. 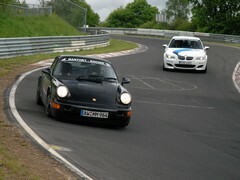 After only eight months I had the accepted RS suspension change to 993 RS front shocks - which was a big improvement. 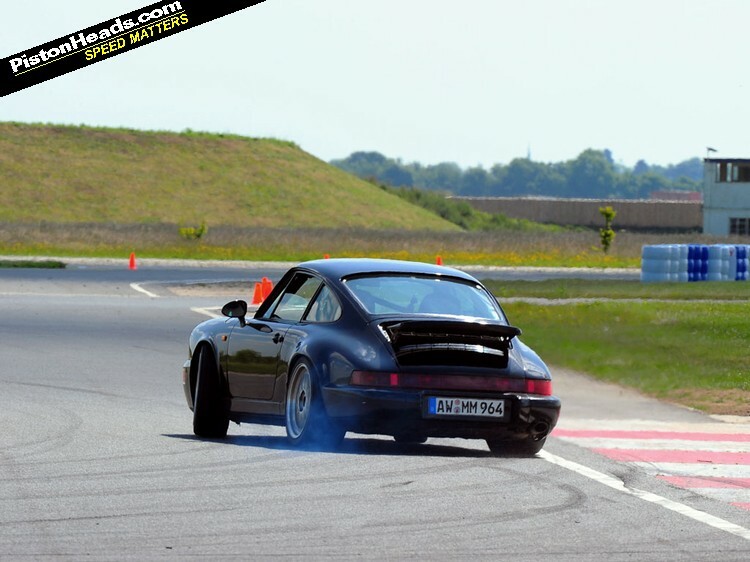 In 2005 Manthey Racing fitted their full KW suspension and it did transform the car - just as firm, but more responsive and considerably more stable in bumpy braking zones. In 2007 I changed to 18-inch wheels (an expensive process as it's much more than just a wheel change) with a completely revised and track-focused geometry (I have those lovely 17-inch magnesium wheels refurbished and stored in bubble wrap) and while the ride comfort is further compromised, the track handling is massively improved. Servicing is not cheap - nor is engine, gearbox and diff work - but the costs that niggle me are for tyres. Too expensive and too often! The aggressive geometry on 18-inch wheels (285s at the back) means a set doesn't last long on track. Housed in London for the first couple of years and then SORNed for a while to make time and money for children. Back on the road and after innumerable trips to that small village in the Eifel, I re-registered her on German plates, with German insurance, and left her at Manthey Racing in Nurburg for many years, heading out there too many times a year for a fix. Nationality is a little vague at the moment - on German plates/insurance though sometimes in the UK and sometimes Nurburg. 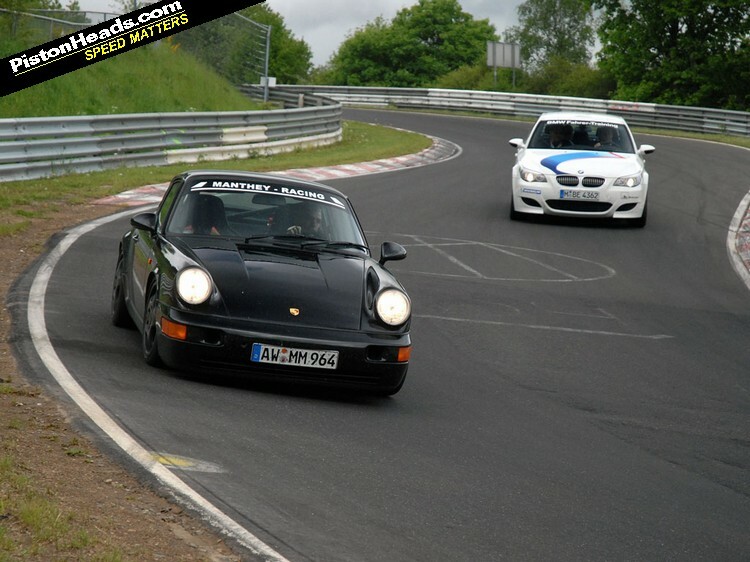 Leading out Hans Stuck in the 'ring taxi - really! Over the 14 years of ownership there have been a series of upgrades - suspension, some mild engine work, cage, increase from 17- to 18-inch wheels - and with each change the RS has improved and provided further years of challenge. I've thought about getting a GT3 of some kind, and I'm sure I'd be travelling faster, but I don't think I'd be having more fun. I'm just starting to get the hang of driving competently - I can't sell her now! They were even cheaper in the late 90's. I bought one in Hamburg for £18K in 1998 when a regular C2 964 was £22+. The RS was built for track days before track days were invented and for many years it was seen as undriveable and unwanted. My favourite 911. Really envious! Best 911 ever... awesome job. Hulk-green with envy. 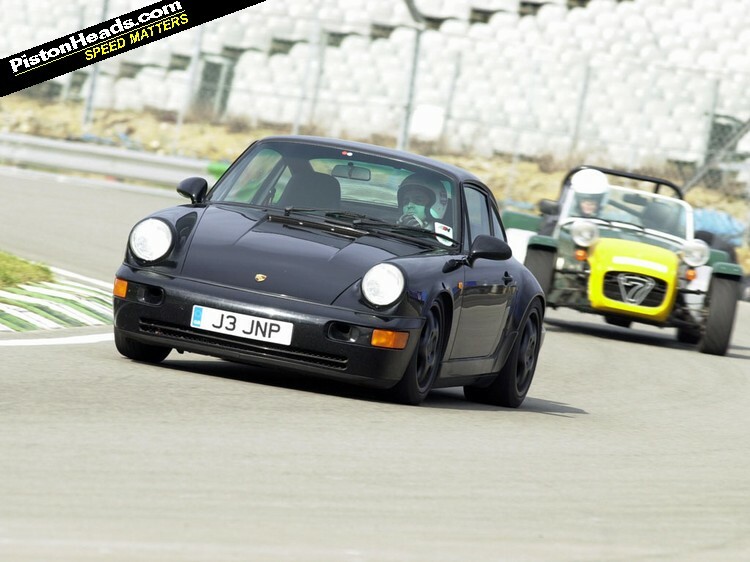 I owned a black RS for 4 years, sold it in 04 ( for £20 K ), as you say wonderful track car, awful on the road on standard suspension. I used to run mine with a little extra rake to improve balance. What tyres do you you run on ? Not a bad price... 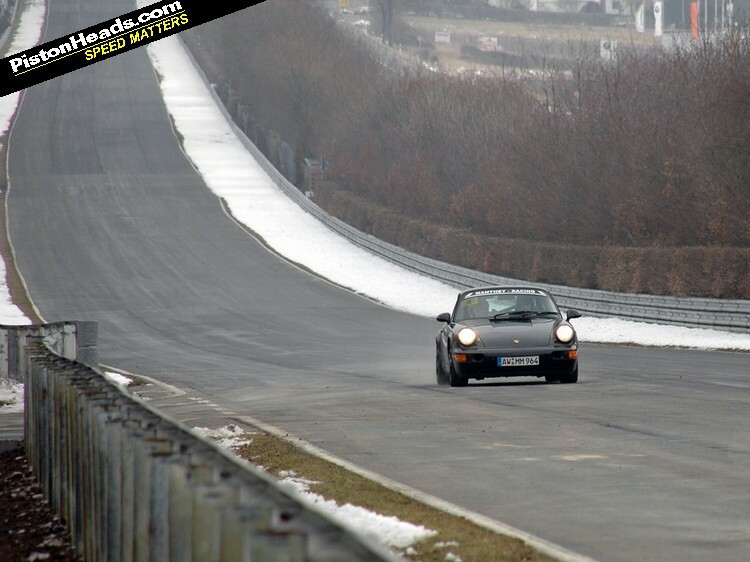 I'm thinking I should buy a 996 GT3 because I can't see them getting much cheaper.